After weird Tupperware pudding comes failed Latte art. This is really a 2 part self-deprecation mini-series. I want to be able to do latte art! It’s so impressive. 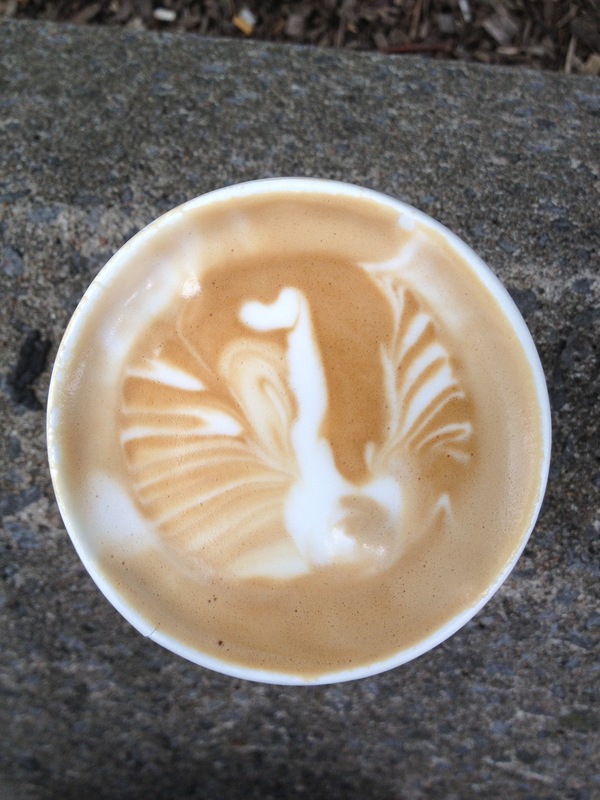 My dream is to serve someone, a man friend perhaps, a coffee that doubles as art. I mean, how hard is it to draw a heart with espresso and milk? Well, hard. And I should have realized that I can’t draw with a paper and pencil, never mind coffee. Everyone thinks engineers need to be good at drawing. Most of us are not at all. I plan on watching some YouTube tutorials which will hopefully enlighten me on how to acquire this skill. I just might have to make lots of coffees. And I just might have to drink them, so they don’t go to waste. This might be good for productivity, on this day of presentation prep and studying. Here’s to useful procrastination! 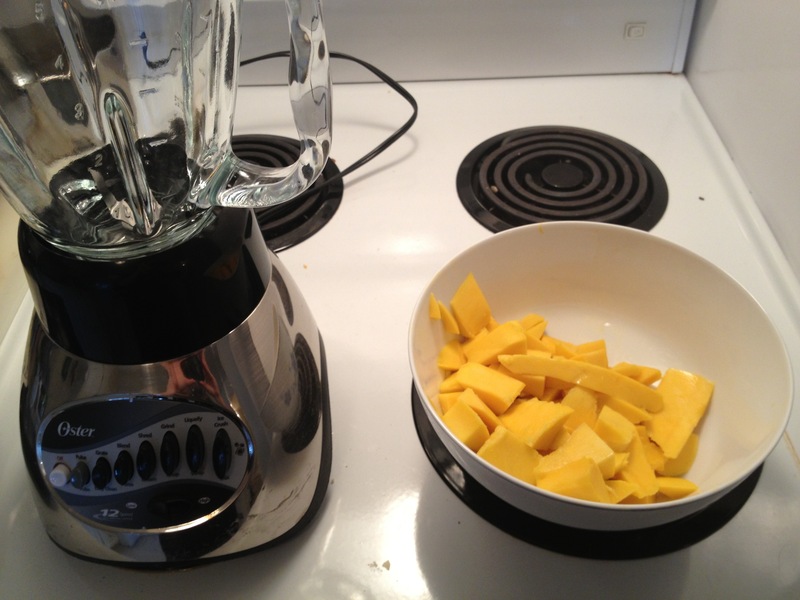 I stumbled upon a recipe for mango pudding while reading an old issue of Eating Well. 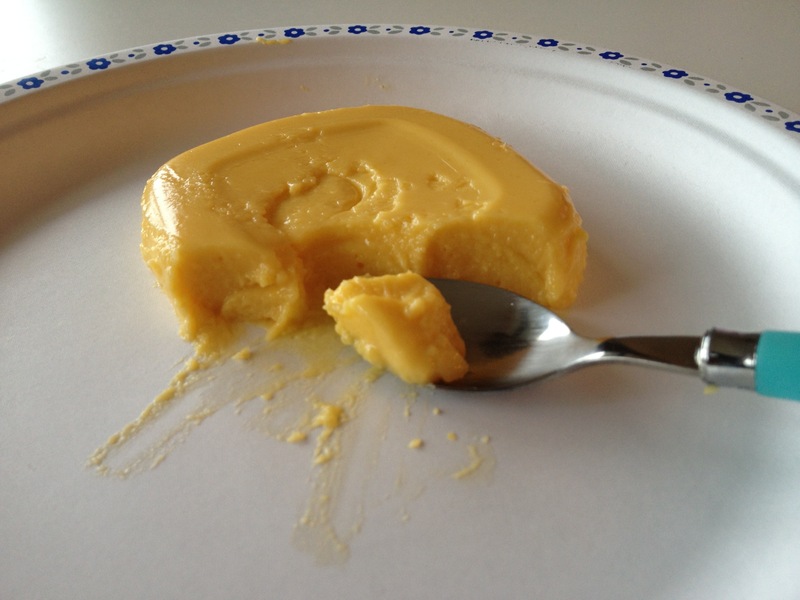 Friends of mine have been raving about mango pudding made by their Chinese relatives. 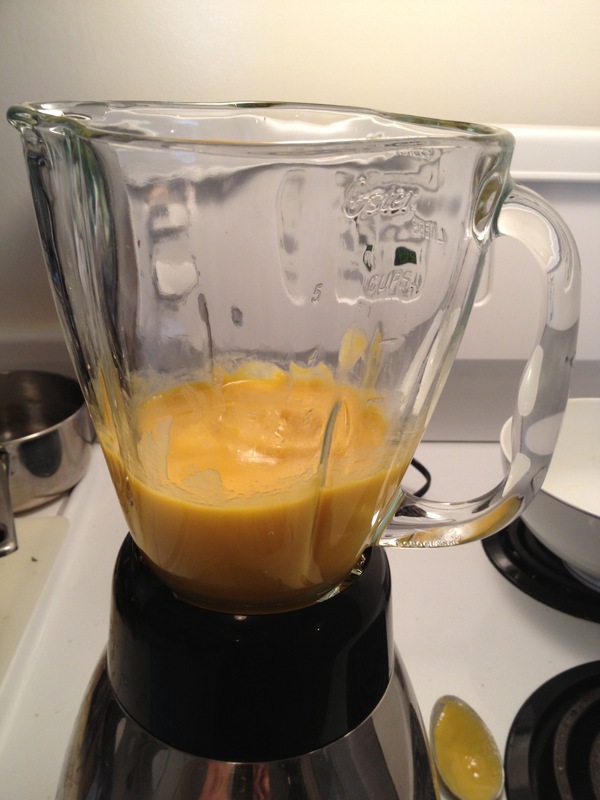 Since I love only sweetened condensed milk more than I love mangoes, I was already sold on the idea. I then went to the grocery store to find a sale on mangoes, the ataulfo kind, as in, the only real mangoes. Don’t even talk to me about the big red ones! So, it was fate. I bought a whole bunch (5 to be precise), chopped them up and puréed them. Then I added a can of low fat sweetened condensed milk and the juice of 1 lime to the purée. The original recipe called for first putting the purée through a sieve, but I’m a busy cook. Ain’t nobody got time for sifting or straining. Then I prepared two packets of gelatine ( enough for 4 cups of liquid ) in the laziest way, by pouring 1/2 cup of water , letting the powder dissolve, microwaving it for 20 seconds and then stirring. 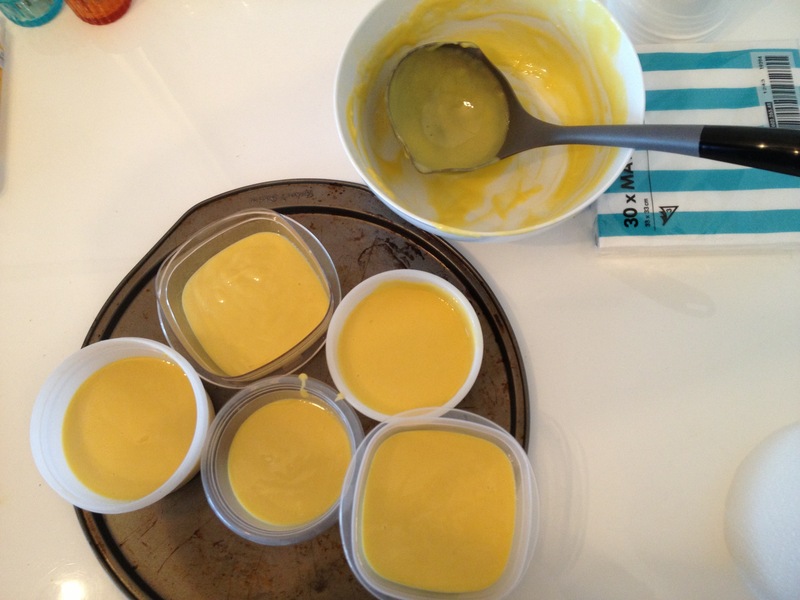 I folded it into the mango mixture and poured it into greased containers. 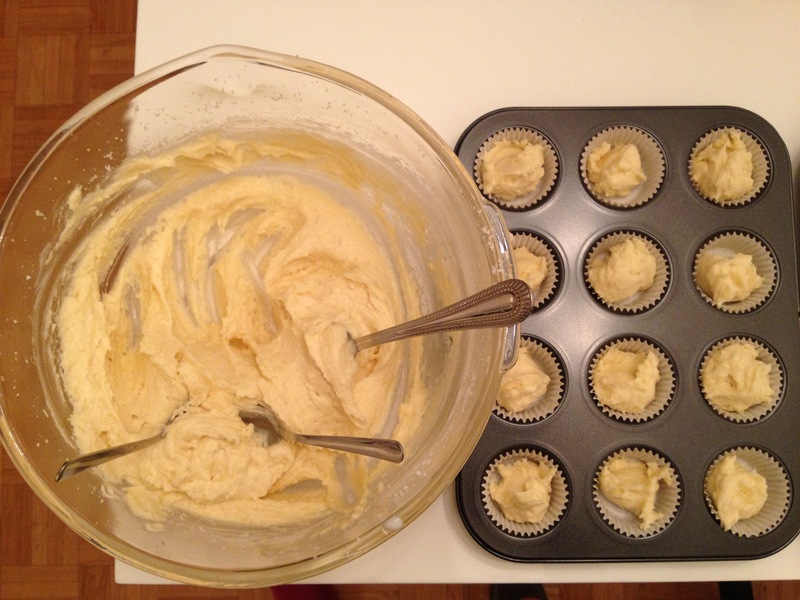 You’re supposed to put them in ramekins, set them in the fridge for about 2 hours, and unmold them. I don’t have ramekins so I used mismatched Tupperware, whichever were about the size I wanted. That made the pudding look a bit funky when unmolded. Oops. I’m a busy student living in a city constantly begging me to go out and play. 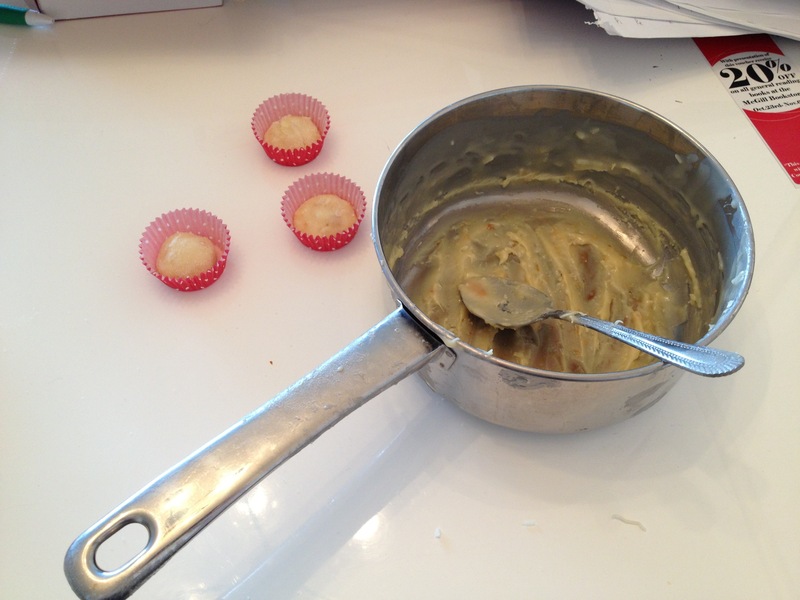 I want my blog to show my real life, weird Tupperware puddings included. I love Instagram, but it almost gives me this complex about my cooking, that if it doesn’t look as good as these people’s, I have failed. Sometimes, like now, I remember that I cook because it’s fun and I love to eat tasty things. The pudding was delicious and I served it to the friend I made dinner for. Rave reviews all around. 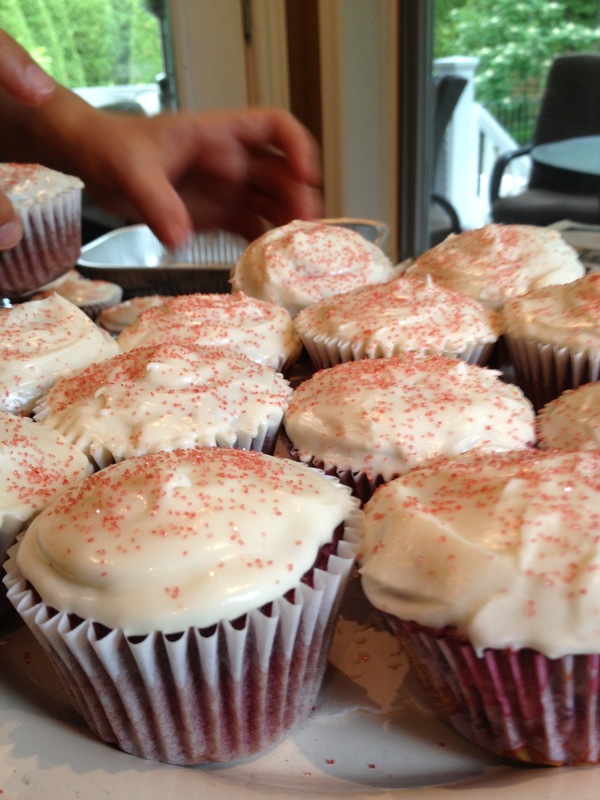 I’m working on some of the usual content (some engineering stuff, some Montreal stuff) but before I get to that, I wanna talk about red velvet cupcakes. Do you know that song by Lana Del Rey called “blue velvet”? I’ve had that song in my head while writing this post. I read red velvet in the tone she sings blue velvet. Sigh. 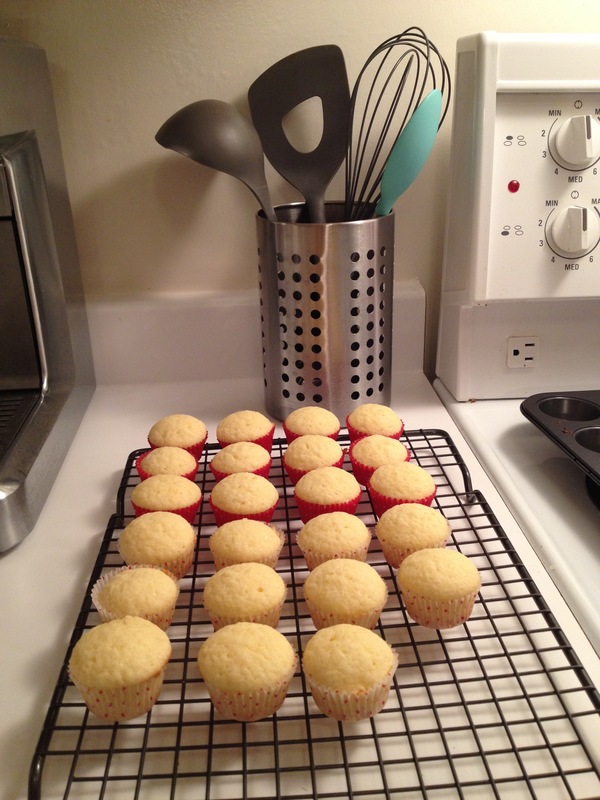 I think I’m the last one on the cupcake bandwagon, and that is because I don’t like frosting. 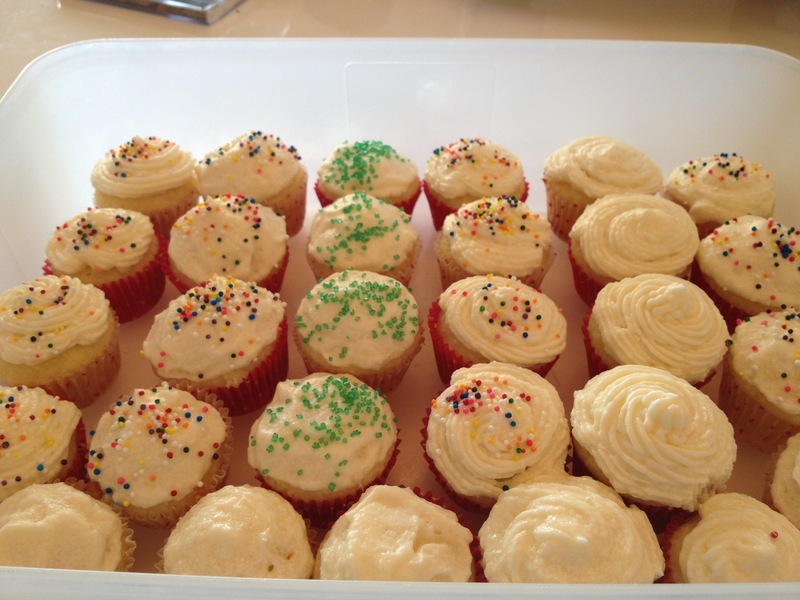 I have a special hatred for buttercream frosting, and that seems to be on all cupcakes you buy at a bakery. All except red velvet. 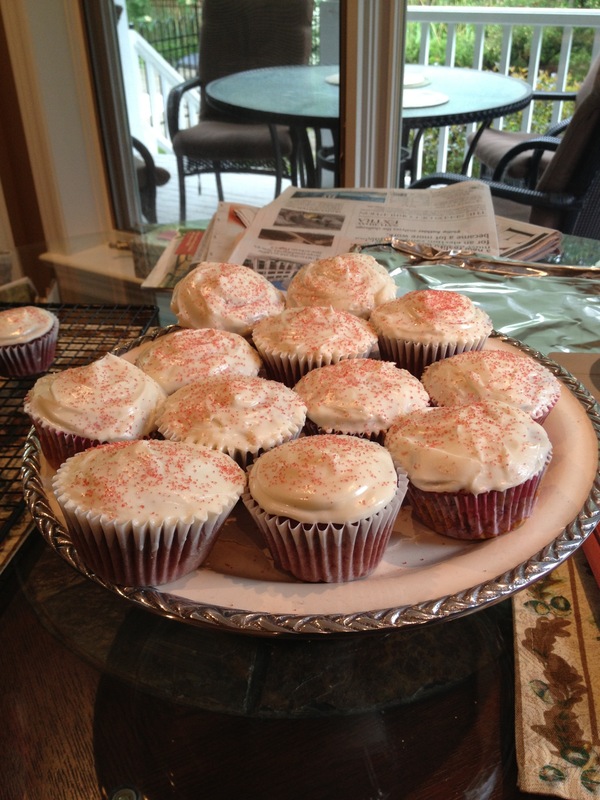 I feasted on red velvet cupcakes while on a trip to Manhattan, so I decided to make them upon my return. I hate the amount of food colouring that goes into these cupcakes though. I’ve heard you can make them with beets. Has anyone tried this? Please link me to a recipe if you have. I’m a little scared, but really wanna find a substitute for the artificial food colouring. Ask any of my friends, I have been craving pizza for a week. Every day, I tried to convince someone to grab a slice with me, but for xyz reason, it never happened. It’s kind of a blessing, because when the weekend came around, I knew what to do. I went to the grocery store to get a ball of frozen pizza dough from the bakery. It’s the kind of detail that makes home cooking convenient enough to be worthwhile, so I have no shame in buying the raw dough versus making my own, since I know I will never get around to the latter. 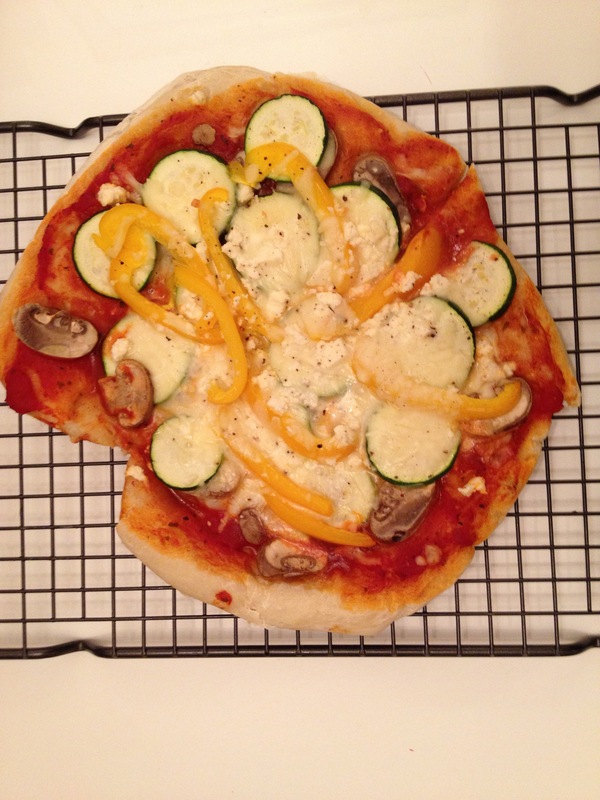 After shaping the dough, I smoothed on leftover pasta sauce, added some spices and ground pepper, layered veggies (mushrooms, zucchini and bell peppers) and topped it off with a combination of mozzarella and feta cheeses. I baked it at 350 for about 20 minutes. There are infinite topping possibilities. I particularly like olives, pesto, prosciutto, caramelized onions, artichokes, but I rarely have these items on hand. Bonus: it’s the kind of meal that cleans out your fridge. Random leftovers? Throw them on a pizza. Today, while studying with a friend, I got into a discussion about getting older. We now get really excited about making good food. I feel particularly crappy because a big part of what I blog about is delicious food. Binge drinking and late-night pizza has kind of lost its appeal. 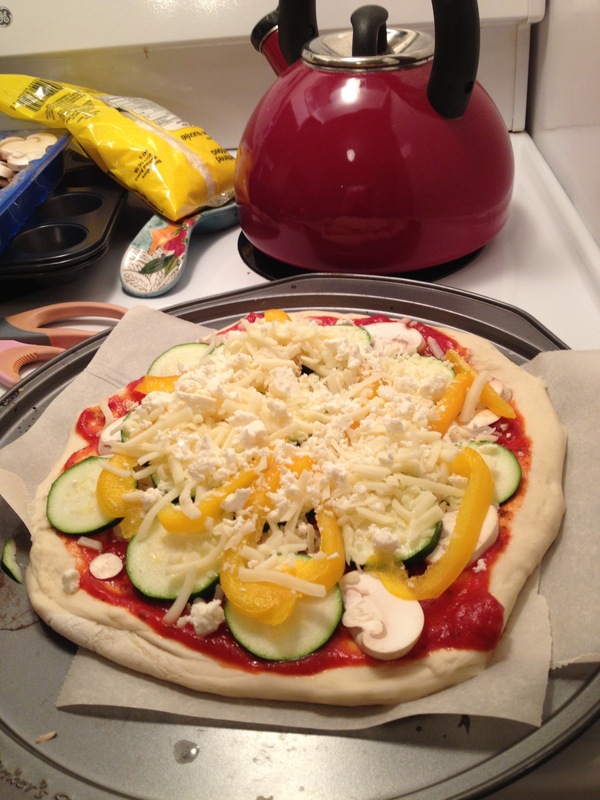 We now sip on a glass or two of wine while our delicious dinner is in the oven….and are in bed by 9! Okay the last part is a joke, but I do feel old today. I guess it only gets worse from here. Happy Halloween take 2! Tonight is the night of the party I’ve been waiting for. I can’t wait to slip on my costume and have a blast with old friends. I wanted to make something quick and easy. 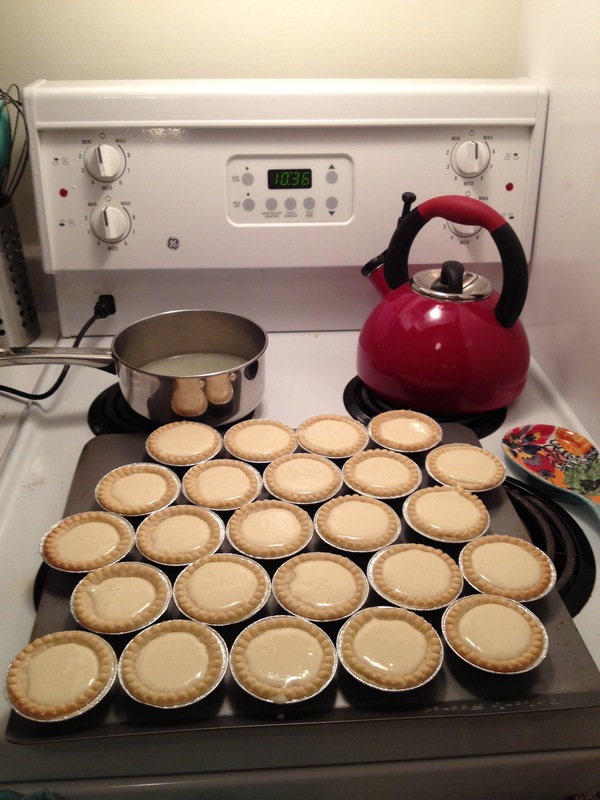 My go-to is mini tarts, from the eagle brand website. 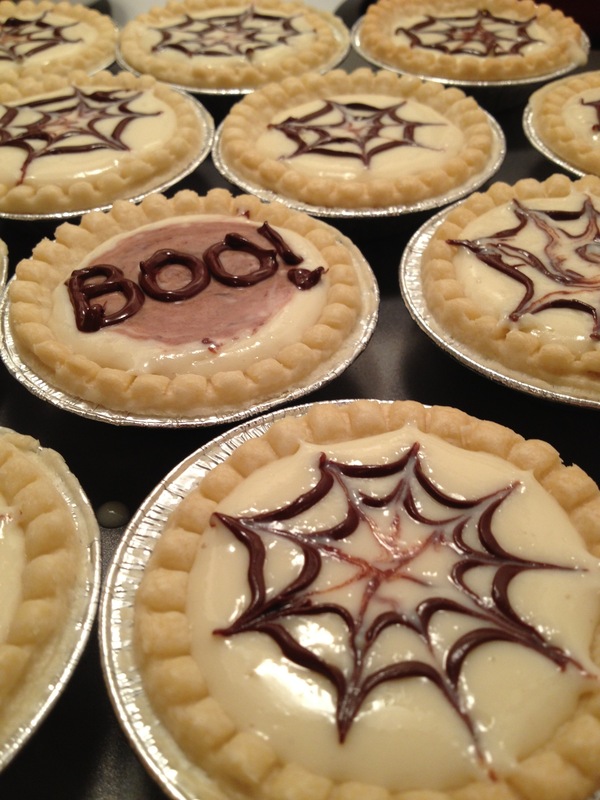 I made the tarts as usual, but I wanted them to fit the theme, so I got the idea of decorating them with spider webs. I piped on 2 concentric circles of melted chocolate (using a ziplock bag with a tiny hole cut into the corner, see my mini-cupcake post for details) then extended the spokes using a toothpick. Halloween on a Wednesday means twice as much fun, doesn’t it. This week, I took a well needed mental break from school so that I don’t burn out before the start of the next set of midterms. 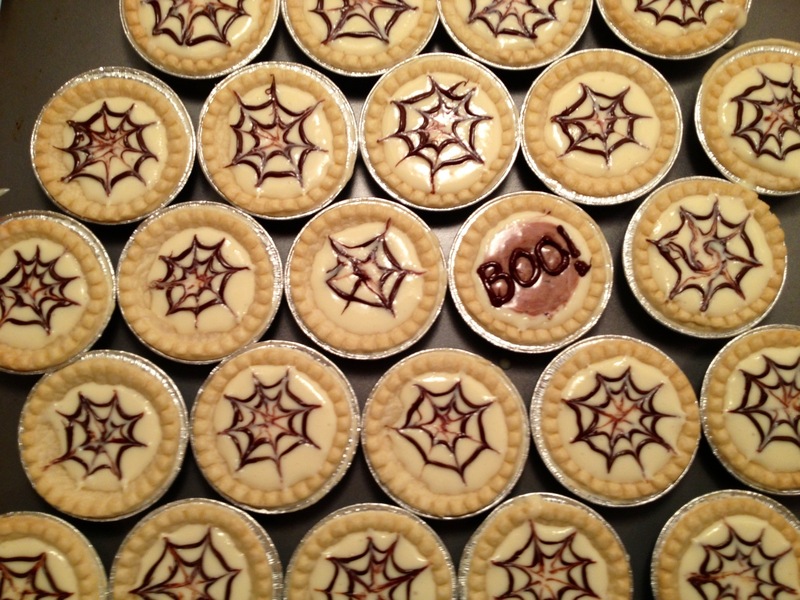 I was on a bit of a dessert theme this week, but only because I had time to make interesting things! The usual lazy student stuff will be back next week, when I go back to being more of an engineer than a Martha Stewart. 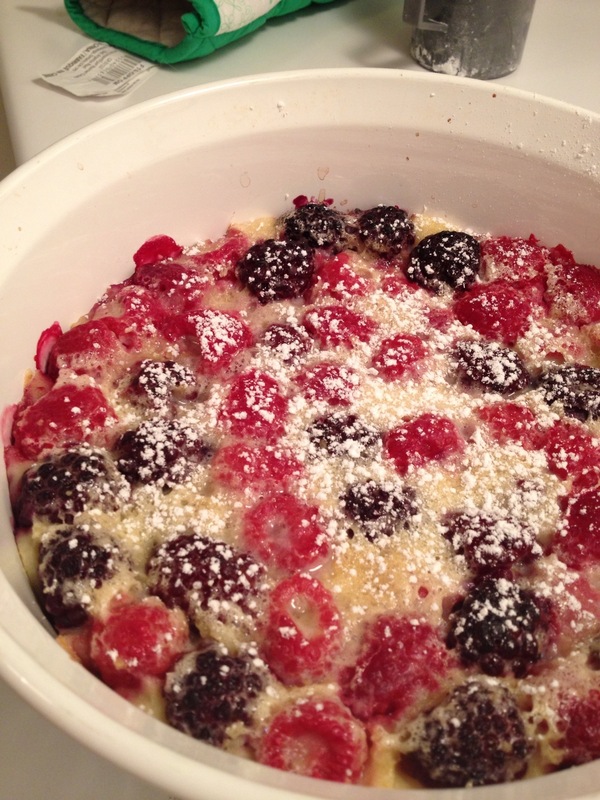 This is the laziest of desserts for the lazy, I mean efficient, cook. And it’s healthy enough for me to justify eating it for breakfast. And it tastes a lot like flan you’d buy in Parisian bakeries, just without the crust. And raspberries and blackberries were on sale yesterday. Win, win, win and win. The original recipe is from my favorite blog, Skinny Taste, but I’ve simplified it a little bit, because who has time to sift flour? Not me. 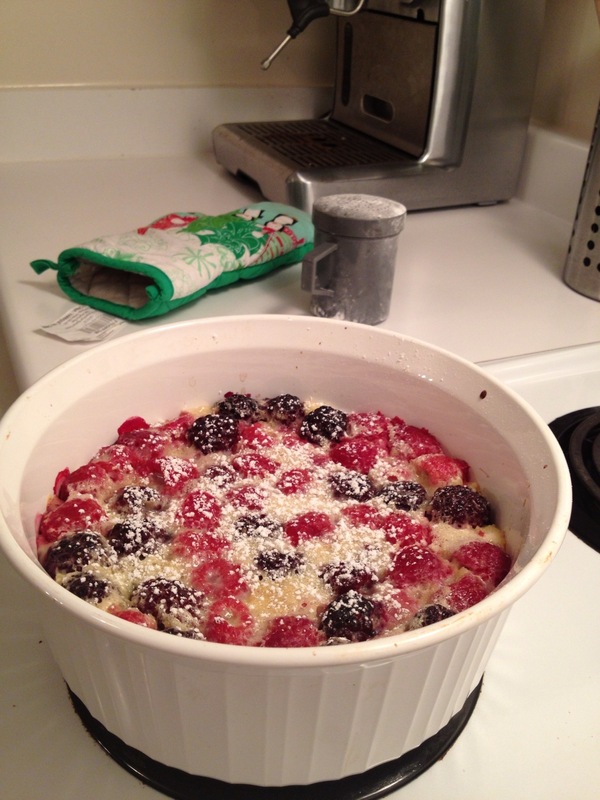 Preheat oven to 350 and grease an oven-proof dish (Pyrex type). Pour the berries in the dish. 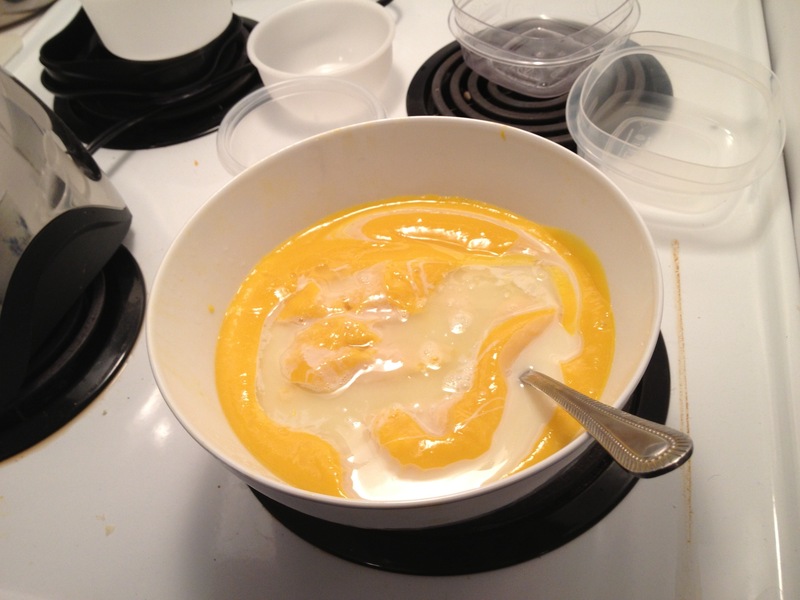 In a medium bowl, whisk eggs, sugar and flour. 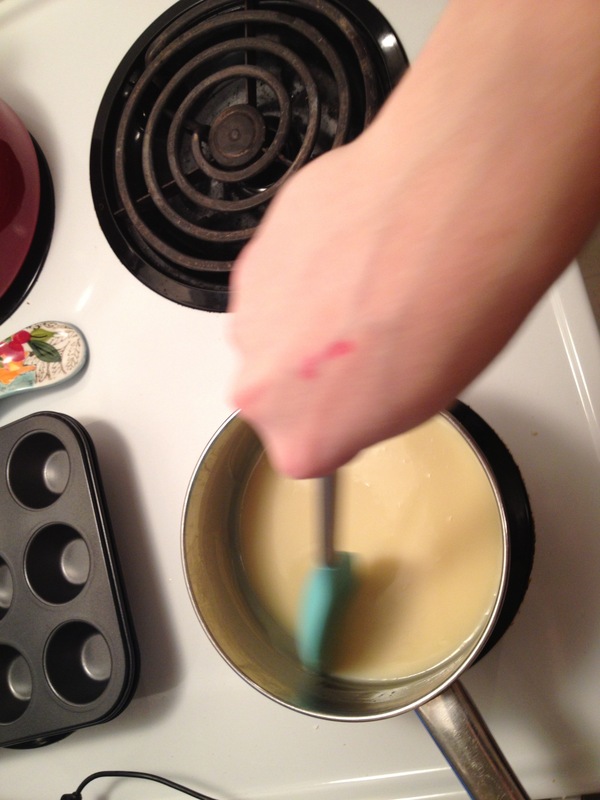 Then add milk and vanilla. Aim for the least clumpy possible. 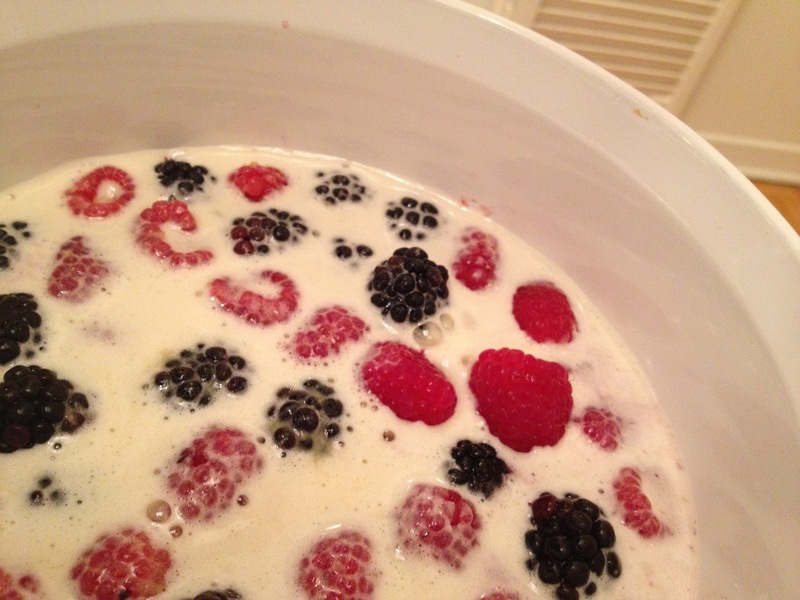 Pour over berries. Bake 45 min. Add some icing sugar if you’re a fancy pants. I tried President’s Choice pumpkin ravioli last night, the one filled with pumpkin and amaretti cookies (the fact that cookies are in pasta should have make me think twice about buying it) . I couldn’t finish it, I found it so gross. Does anyone like it? Happy Halloween! 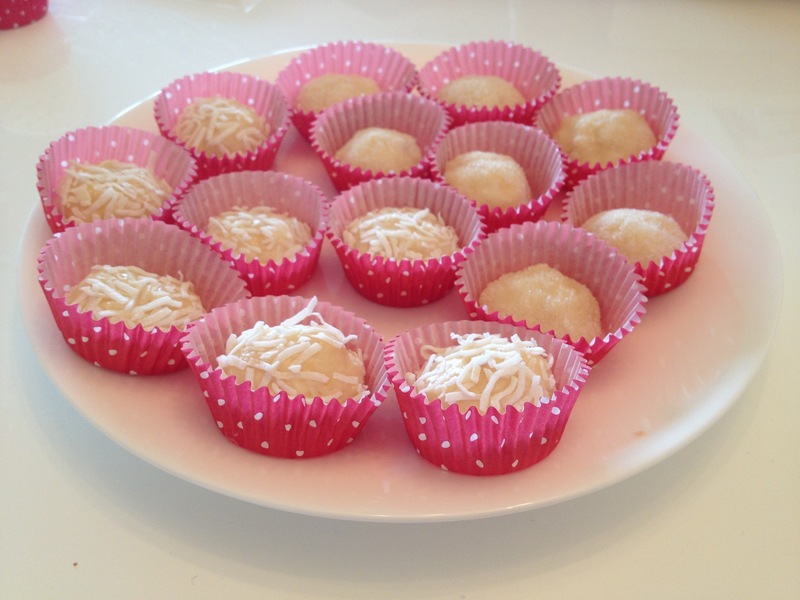 For the occasion, I made some Brazilian candy. I wanted to make something simple, something that doesn’t require a candy thermometer (which I don’t own). Also, the Brazilian community isn’t very big in Montreal, and it’s difficult to find Brazilian sweets, which i adore. 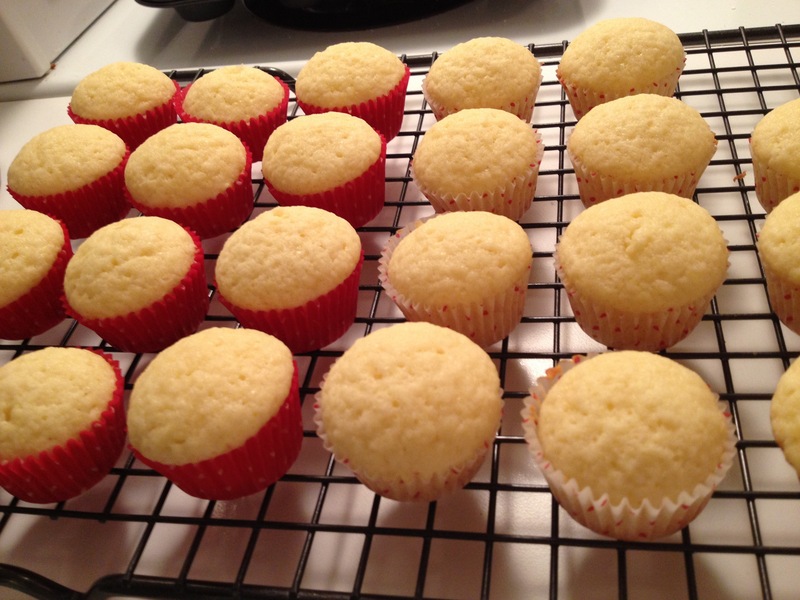 Beijinhos means little kisses, and they’re usually decorated with whole cloves. I didn’t have any, so I left them out. 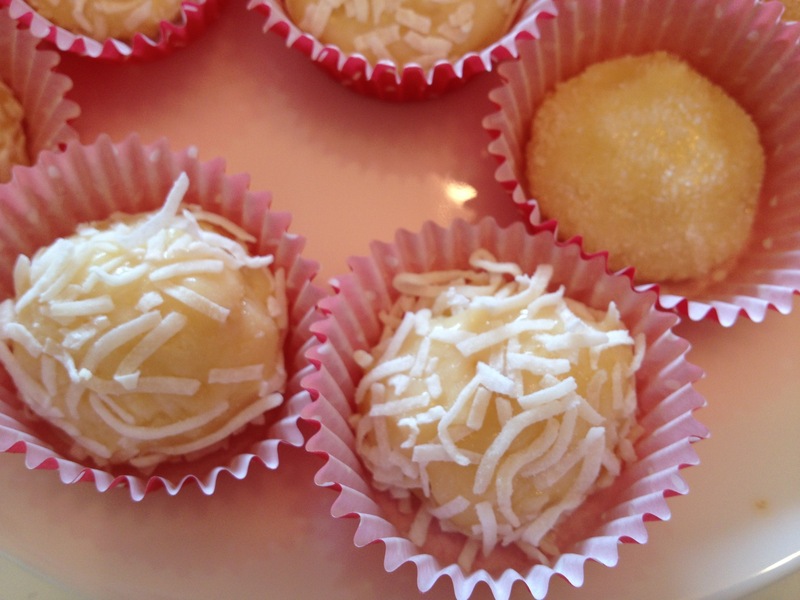 There are so many recipes on the Internet for beijinhos, all slightly different. The only tricky part is getting the consistency right, I.e. condensing the milk enough but not too much. I went on YouTube and followed a video tutorial instead of a recipe, so that I could have a visual reference. I can understand enough Portuguese to follow along, although the YouTube lady started speaking really fast to her dog at one point in the tutorial and I got really confused! But then she went back to quietly stirring the candy and it all ended up fine. I have a Halloween party coming up this weekend and I can’t wait! I’ve been planning my costume for weeks. Enjoy Halloween night. Last night, my engineering “family” and I had a small dinner party. We had wine, cheese, lots of bread, different pâtés. It was a great way to spend a Sunday night. Usually, Sunday is either reserved for laundry and homework, or dinner with my actual family. I don’t have pastry bags, so I used a sandwich sized ziplock bag, cut a small hole in the corner, put an inexpensive star tip (bought at the grocery store) through the whole, and duct taped the bag and the tip together, engineering style. Duct tape is the key to happiness, it really is. I forgot to photograph my contraption before I filled it with icing, but here it is! Lest you think all I do is drink coffee and study, today’s post has neither coffee nor studying. Only chicken. Easy, healthy, delicious. 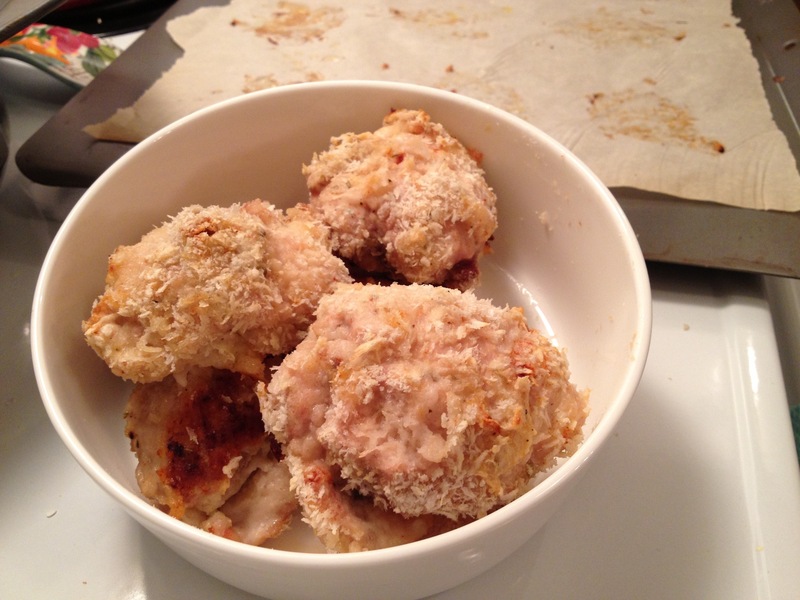 The recipe is inspired by Fee fie faux fried chicken from “Crazy Plates”, by the Podleski sisters. – Pinch thyme, paprika, salt, oregano, garlic powder, black pepper. Mix spices and flour in a bowl and set aside. In a separate bowl, pour the buttermilk. Put the breadcrumbs in a 3rd bowl. 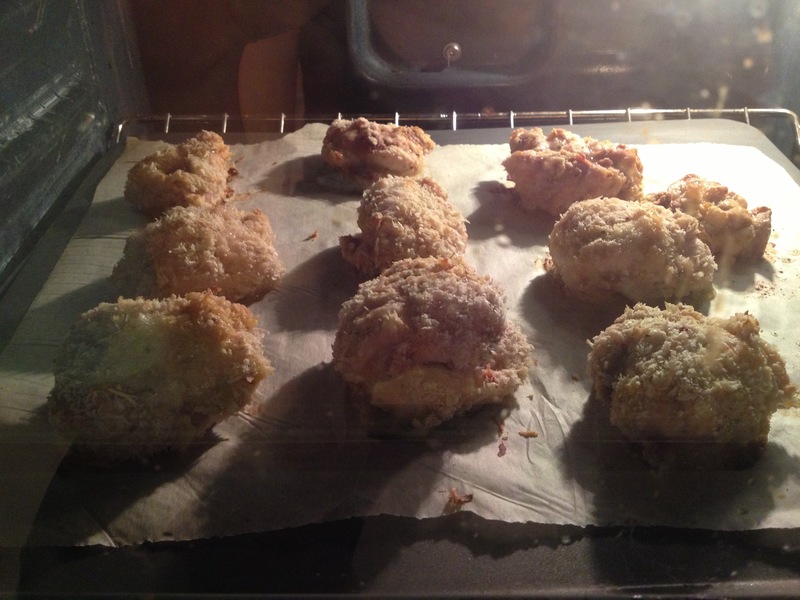 Dip chicken in buttermilk, then flour mixture, then buttermilk and finally in breadcrumbs. Place on a pan covered in tin foil. Bake for 40min, until chicken isn’t pink. 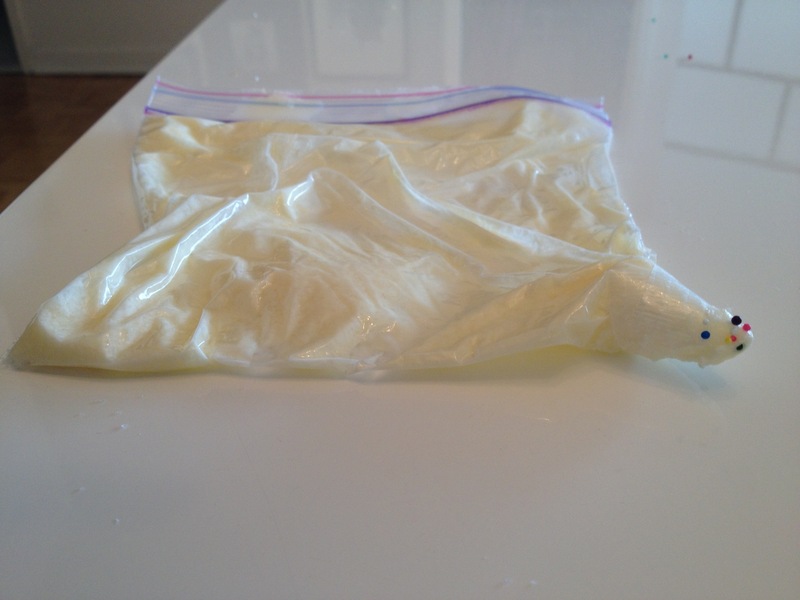 *If you don’t have buttermilk, you can always put a few teaspoons of vinegar in 1 cup of milk and let it sit for 5 min. I know, I know. I’m supposed to be avoiding coffee shops, but let’s face it, it’s not realistic to say that I will never go to a coffee shop again. One thing for sure, i’m obsessed with coffee. I’m just trying to be smarter about it. By packing a muffin or a baked good before I leave the house (check out the healthy recipes I will be posting for inspiration). That way, I’m not tempted by the high-fat goodies in the elegant display. By bringing my own mug. Most places offer a discount. By becoming familiar with the deals. At Second Cup, if you load a pre-paid card with 30$, you get a free latte. Also, on Tuesdays, lattes are significantly cheaper. At a different coffee shop, buy 10 coffees and get a free one. By buying a simple brewed coffee. It is usually the cheapest item on the menu, and they sometimes offer flavoured coffee for a fraction of the price of a sugary mocchacino. I can then go for some extra flavour with any add-ins they have at the counter, such as milk, cinnamon, cocoa, vanilla sugar, etc. By not ordering the largest size. I know it’s only 20 cents more, but I drink super slowly and I never end up finishing it. I rather have those 20 cents in my pocket. It should be noted that I completely disregard any rules when it comes to seasonal coffees. Gotta live. That means indulging in a pumpkin latte every fall, an eggnog latte every winter, a candy-cane latter during Xmas shopping and a maple latte in the spring. The rules also go out the window when I’m in need of some extra study motivation. 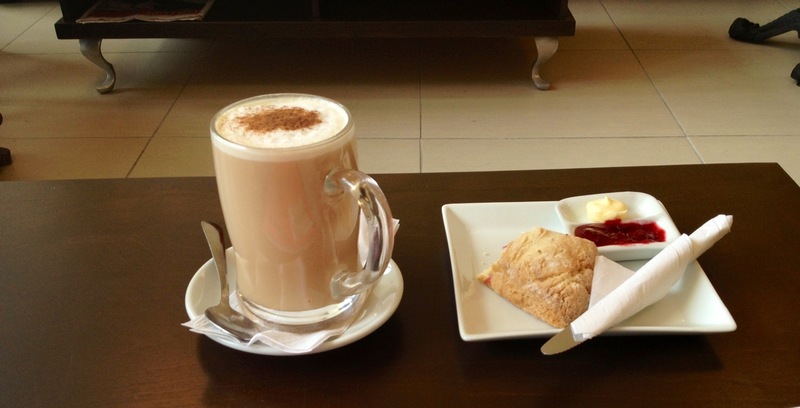 Isn’t that plate with the scone cute? The scone came with raspberry jam and butter. It was by far inferior to my scone recipe though so if you’re craving scones, save your $ and check out my super easy scone recipe.